In 1914, Crestwick, a demonic spirit named Nefas surfaced to prey on a family, ending with the death of an innocent young girl. The mysterious events haunted the mid-western community for years. 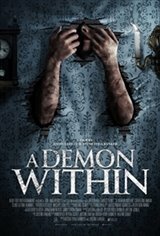 Now, decades later, a skeptical doctor must stop history from repeating itself by confronting his personal demons and fighting to save the life of a teenage girl who has become possessed in his family's old house.